Zo deze keer ben ik op tijd. We hebben het thema BIRTHDAY bij Creative Knockouts. Ook hebben we een nieuwe sponsor. Ik heb gekozen voor Fantastic Mr. Fox. So today I am on time with my post. This time the challenge theme is BIRTHDAY at Creative Knockouts. We also have a new sponsor. It is: Just Me digital stamps. I choose Fantastic Mr. Fox. Ik heb met alcohol markers het plaatje ingekleurd. heb ik met goud geembosst. Het papier is ook met goud bedrukt. I colored with alcohol markers the image. The other paper is also wit gold dots. This fox really jumps out at you. Thank you for joining the add some texture challenge at Crafty Cardmakers. What a fun card - beautifully coloured. 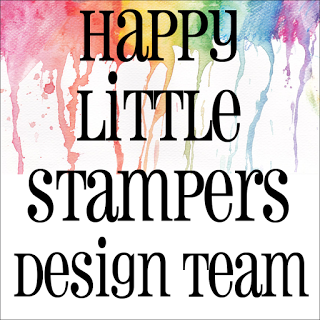 Thank you for joining in with my challenge at Crafty Cardmakers this time. 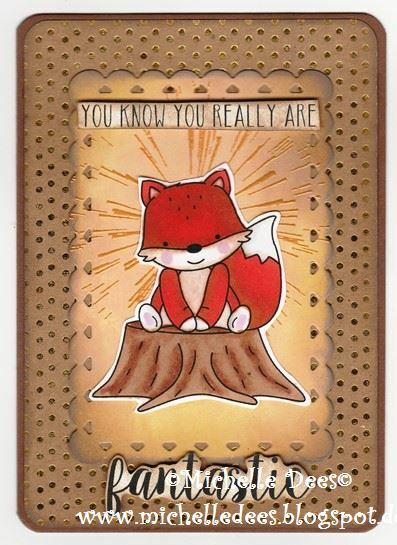 Super cute Fox lovely card thanks for joining us here at I Love Promarkers challenge Lyn DT x.